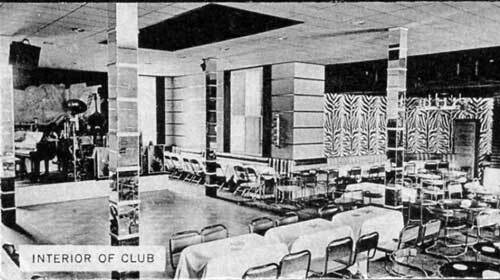 A diner surrounded by the country decor of Peter Pan / Cracked Claw's latter decades would never have imagined that the dining room between the old house and the off-track-betting area was once a swanky art deco club. Certainly Hot Cha Gardner, the owner, performed on the bandstand at left. Did any musical greats from 30s-40s perform out in Urbana? Go to next panel.